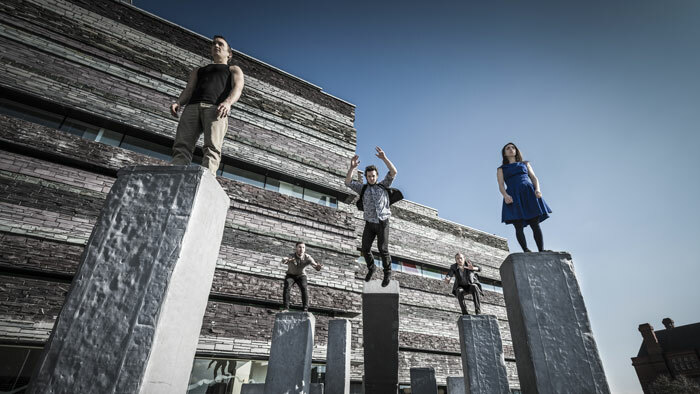 Acrobats of NoFit State Circus, together with dancers of the renowned Compagnie Motionhouse, create their own world with twenty grey blocks, exploring its limits. 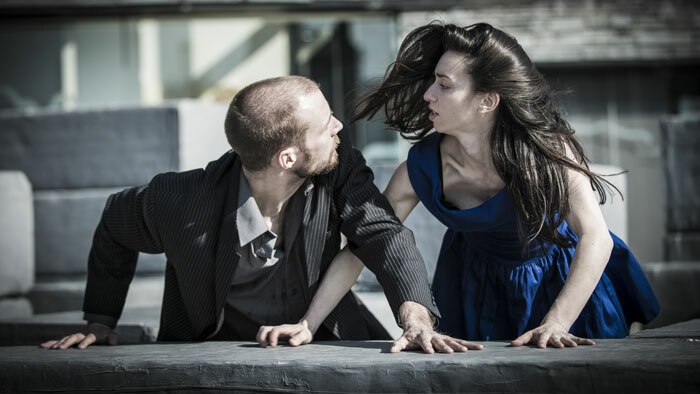 BLOCK is currently one of the most interesting productions of nouveau cirque. It points out the potential that is created when circus and dance come together, flow into each other and rub against each other. This leads to the creation of an anarchic, untamed and thrilling performance for public space. Commissioned by Without Walls, Stockton International Riverside Festival, Norfolk & Norwich Festival and Out There International Festival of Circus & Street Arts. BLOCK was commissioned by Without Walls, Stockton International Riverside Festival, Norfolk & Norwich Festival and Out There International Festival of Circus & Street Arts. Co-production Archaos, Pôle National des Arts du Cirque Méditerranée and Le Citron Jaune, Centre National des Arts de la Rue. Supported by Arts Council England, Cyngor Celfyddydau Cymru – Arts Council Wales, Llywodraeth Cymru – Welsh Government. The 2017 French tour has been organised as part of the régional street & circus season La Saison Regionale Rue & Cirque. Représentation organisée avec le réseau R.I.R. pilotée par Karwan dans le cadre de la Saison Régionale Rue & Cirque soutenue par la Région Provence-Alpes- Côte d’Azur, partenaire principal et le Ministère de la Culture et de la Communication (DRAC PACA).